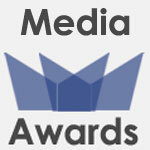 World Media Awards Winners Announced! Last August I opened up submissions for the World Media Awards, a virtual event to recognize the year’s most successful bloggers and publishers. For the rest of the year, we received entries from around the world. Some were from bloggers proud of what they had created, and some were from colleagues and readers nominating blogs they love. It was exciting to see such a wide variety of high-quality media flood my inbox! Today, I am excited to announce the winners of the 2012 World Media Awards. To learn more about the winners, visit the World Media Awards website. As founder of the World Media Awards, I am thrilled to help shine a spotlight on some of the best blogs from around the world. I think it’s important to hold up examples of bloggers and publishers doing great things. Congratulations to all of the winners, and thank you to all of the bloggers who submitted their sites. We are sorry we could not recognize everyone out there who is contributing to the rich, innovative world of blogging. And a big thank you to all of our judges and sponsors. We could not have put this event together without you.